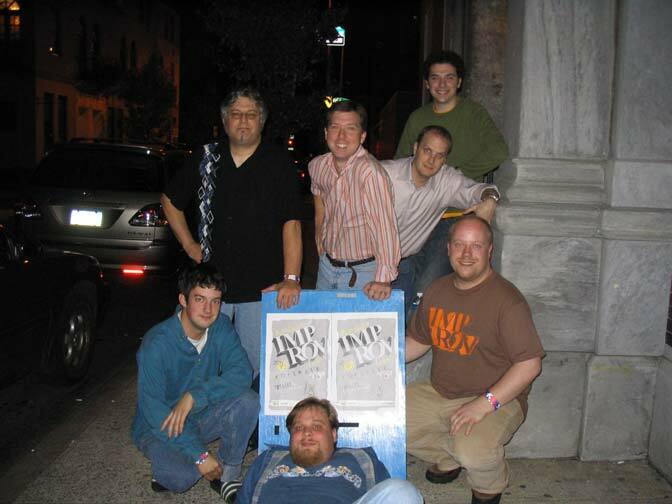 The Ninjas rocked the 2005 Philadelphia Improv Festival, which was organized in part by Ninjas Jon and Matt. 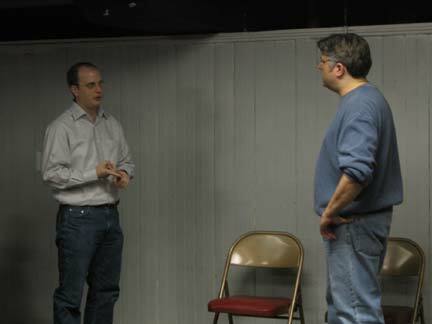 It also featured Ninjas Tony, Dan, Bob, Kevin and Corey. 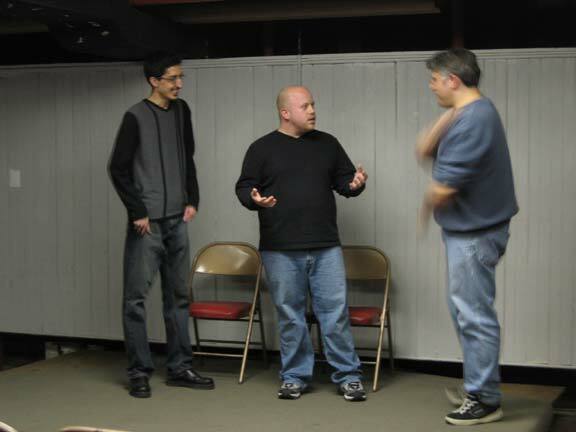 Ninjas Chris, Matt and Tony in a scene at the show in the basement of the Ethical Society. Can you see the hilarity? Ninjas Jon and Tony in the same show, but in a scene that was both hilarious and deadly.